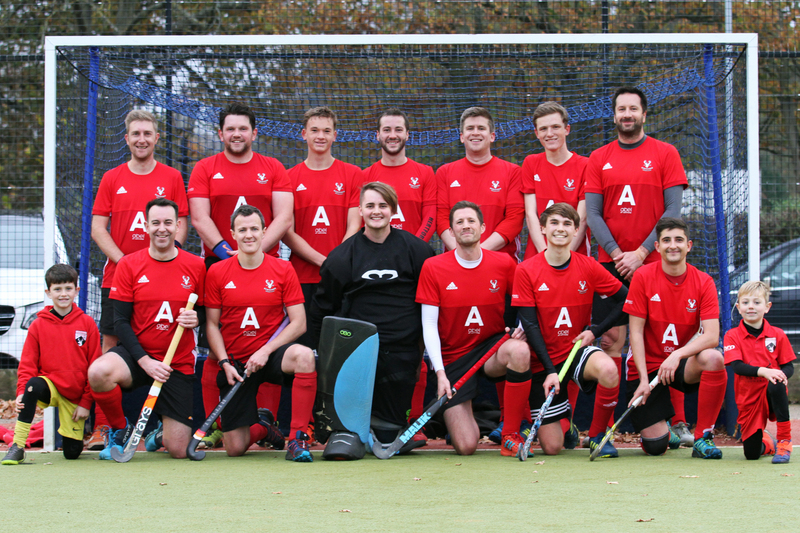 Hertford Men's 1st team delivered a professional performance in dispatching bottom of the table Ipswich East-Suffolk 2nds on Saturday, running out five-nil winners thanks to goals from Nick Downer and Scott Apps. Player-coach Downer rejoined the squad in place of Archie Akers in an otherwise unchanged matchday squad from the one which beat Wapping two weeks ago. After last week's fixture with Bedford had been a victim of the weather Hertford could have been excused for being a bit rusty, but instead showed an intensity and purpose from the first whistle which stunned their opponents. A sharp passage of play from left to right found space for Alec Short on the right of the D, whose shot was closed down by the keeper, but Apps was on hand to gather the rebound and flick goalwards only for the shot to be stopped by the body of a defender on the line. Downer stepped up to calmly dispatch the penalty stroke to put the home side one-nil up in the opening minutes. Hertford kept the pressure up and deservedly doubled their lead. A dalliance by Darren Norman saw him weave into the D and win a penalty corner, for Apps sling-shot a drag-flick beyond the keeper before he could react. The hosts let their standards slip somewhat before the break, relying on the close marshalling of Simon Halfacre and Tom Smith coming off his line quickly to smother any sight of goal. The defence managed to snuff out a few penalty corner attempts by I-ES in the remaining moments before half time to keep the score at 2-0. Reasserting some discipline and dominance in the second half, Hertford extended the lead further. A patient build-up and overlap down the left drew the visitor's defence to one side before an incisive pass by Apps, found his strike partner Downer on the opposite side of the circle. With plenty of time and space to line up his strike, but still plenty to do from the angle, Downer struck a well-timed shot just inside the far post to take his tally to four for the season. The East-Suffolk outfit continued to search for a way back into the game, trying their luck from another penalty corner, but the routine was well intercepted by Taylor Weeks who released the ball out wide, to launch a quick break for Hertford. Two passes later the ball arrived with Short on the left of the circle, squaring for Apps to have a simple tap-in. With their opposition tiring Hertford were afforded plenty of time on the ball and were showing some patience in fashioning their attacks. There was time for one more goal when Norman seized on a poor pass from a sixteen yard hit, feeding Apps, who let the ball roll across his body and picked his spot to complete his hat-trick with tomahawk finish. With the top five in the division all winning, Hertford remain third in the table with only six games remaining in the season. Next week they travel to Colchester, who, despite being tenth, have proved difficult to break down for many sides this season.